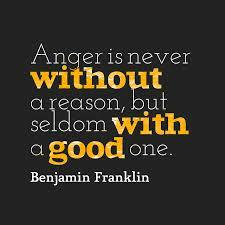 All to often I resort to anger to be the answer to many of life’s problems.That method has gotten me in more trouble than I care to talk about but I will anyway. Ever since I can remember, I mean way back in public school days I have had a problem with anger. I have never been able to control my temper and would sometimes fly off into a uncontrollable rage as early as my pre-teen years. I’ve been to doctor’s (lets call it what it is Psychiatrist), and anger management classes, Therapy sessions have never seemed to work for me. I guess because I never took any of it serious. I have not only had anger issues but also denial of my anger issues. Being that I never thought I had a problem, I never truly sought a solution. You are welcome. I enjoyed it. My addiction had a way of bringing out the worse in me. I had anger issues. Thanks again.